Sea Holly01263 715779work01603 870304fax Self-cateringSea Holly is a terraced house situated between Cromer and East Runton and has sea views from both sides of the property. Cromer is within easy reach by walking, by bus which stops nearby or you can even stroll along the beach towards Sheringham or to Cromer. There is plenty to do in the surrounding area and is a fantastic base for exploring the wonderful North Norfolk coast. 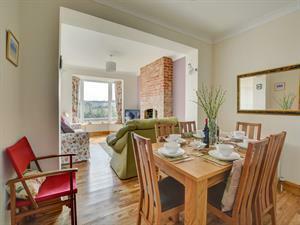 Sea Holly is a terraced house situated between Cromer and East Runton and has sea views from both sides of the property. Cromer is within easy reach by walking, by bus which stops nearby or you can even stroll along the beach towards Sheringham or to Cromer. There is plenty to do in the surrounding area and is a fantastic base for exploring the wonderful North Norfolk coast.